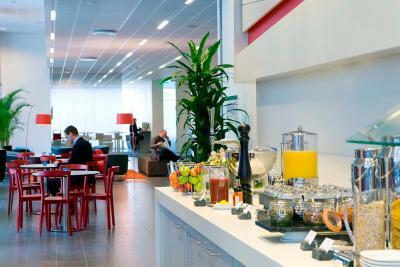 Lock in a great price for Park Inn by Radisson Malmö – rated 8.6 by recent guests! Rehab from Reception is highly appreciated.... Michelle from Housekeeping and Catherine both Filipinas were active and the African girl at the breakfast room... Thank you to all of them... I give them all 4 stars...out of 5 stars. Location. We walked down to the park/water, watched the sailboats and unwound from our long flights! The room was clean and comfortable. Price/quality ratio is good. Very comfortable beds. Buffet breakfast was very good. 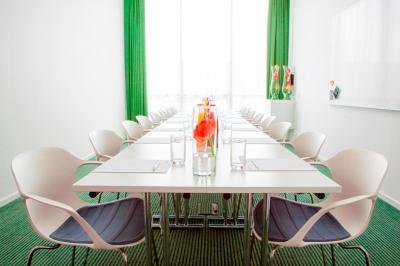 Great location in Malmo. 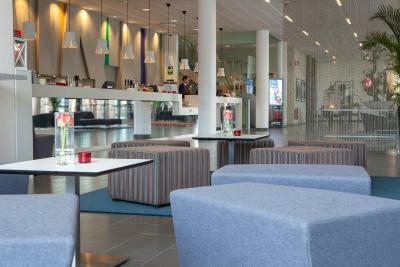 I liked the smooth efficiency with which the place was run. 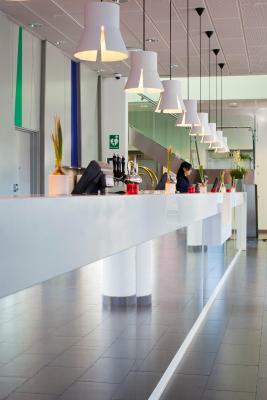 Everything was perfect except that sometimes the staff were not friendly, they did not appear eager to assist people who did not speak Swedish - especially at the front desk. 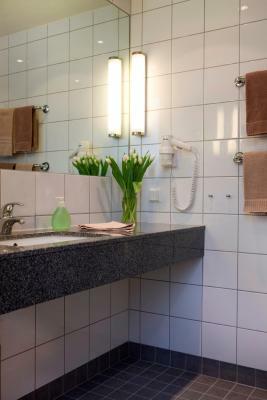 Staff was helpful,room was well decorated and equiped,liked the bathroom . Simple, modern and comfortable! Typical Swedish. The location is great, so close to the sea with an amazing feel and view. And so close to the old town centre. And great value for money too! And always love these breakfasts, again, typical Sweden! 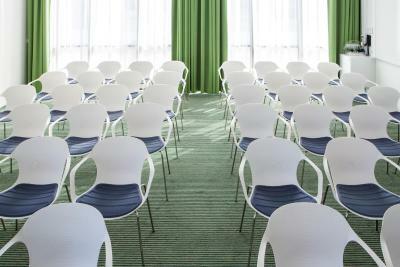 Park Inn by Radisson Malmö This rating is a reflection of how the property compares to the industry standard when it comes to price, facilities and services available. It's based on a self-evaluation by the property. Use this rating to help choose your stay! 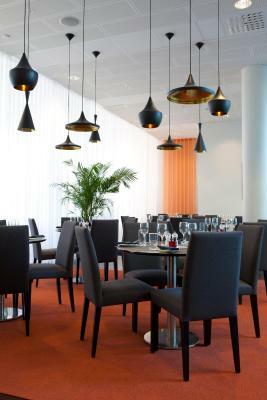 One of our top picks in Malmö.This modern hotel is located in the Western Harbor area of Malmö, right next to the World Trade Center. 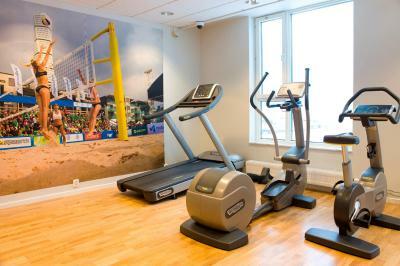 It offers a popular restaurant, a gym and free Wi-Fi. 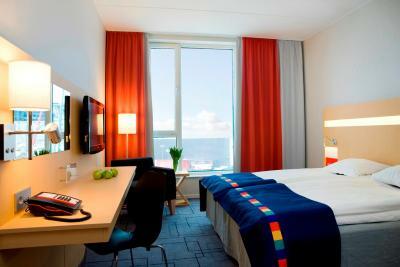 The rooms of Park Inn Malmö are decorated in bright colors and include a flat-screen TV, a seating area and a fresh bathroom. 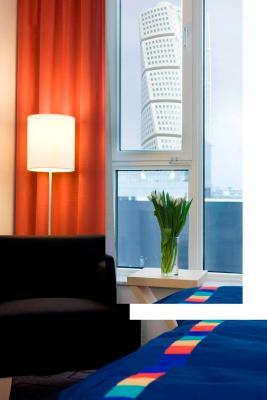 Some rooms overlook the famous Turning Torso skyscraper. RBG Bar & Grill offers gourmet burgers, steaks and salads. In summer, the garden terrace is a popular meeting place for afternoon coffee or evening cocktails. 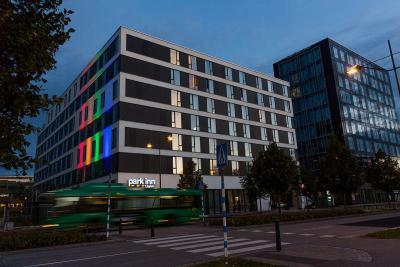 A local bus stops by Park Inn, bringing guests to the city center and Malmö Central Station in less than 10 minutes. 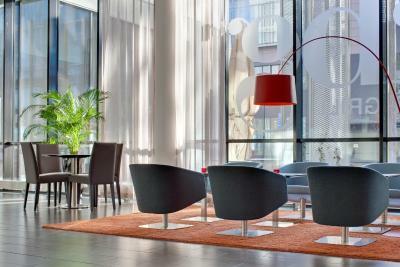 When would you like to stay at Park Inn by Radisson Malmö? Room with a seating area, flat-screen TV and work desk. 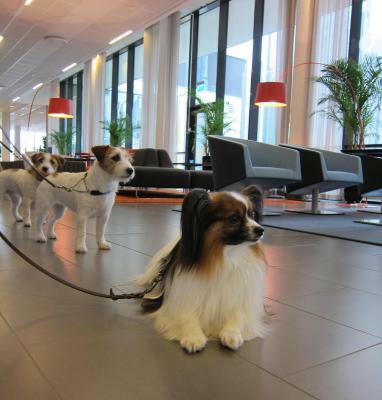 Public parking is available at a location nearby (reservation is not possible) and costs SEK 25 per hour. 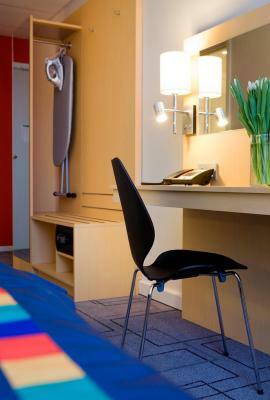 Business Double room with a seating area, flat screen TV and work desk. Family room with extra bed, a seating area, flat screen TV and work desk. 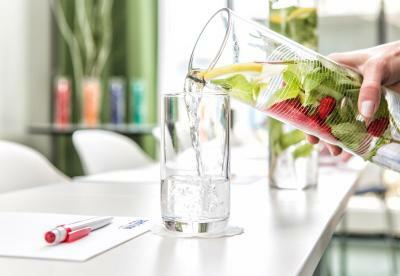 House Rules Park Inn by Radisson Malmö takes special requests – add in the next step! 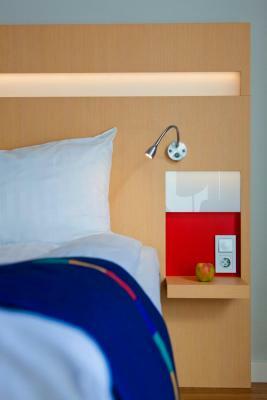 Park Inn by Radisson Malmö accepts these cards and reserves the right to temporarily hold an amount prior to arrival. Please note the age of all accompanying children in the Special Requests box when booking. Resturang. So much was not there. 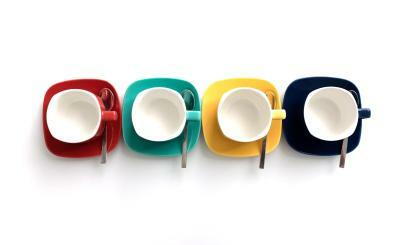 Cups, plates, egg, etc. Really bad. Breaskfast was good but we avoided the over-milked eggs, we prefer 100% eggs in our scrambled eggs but everything else was very good. It was a clean Hotel. Nice hotel placed not far from the seafront. 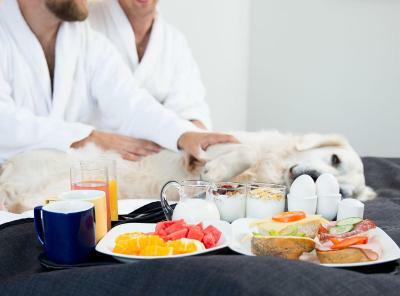 Room is clear, breakfast is tasty. Due to construction works on the road I had to walk along the road, as pavement was closed. So, getting to the hotel is not very comfortable now. Clean room, excellent breakfast, good location. Lots of construction restricting access. Breakfast, room very clean and spacious. Staff very friendly. 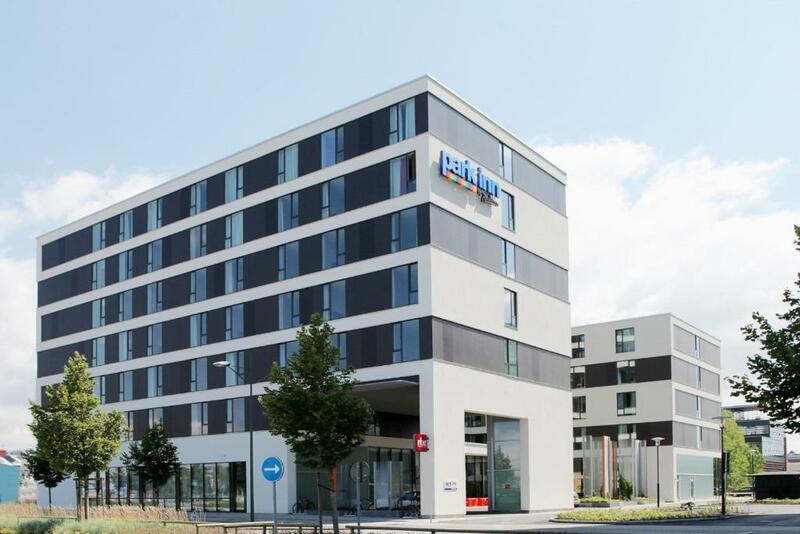 They offered me a handicap room without asking me about it, when i went back to reception they motivate that they dont have any other double room available. No carpets on the floor, bathroom crane was way too low, right over my knees, and the toilet sit way too high. Poor breakfest, many products containing added sugar. 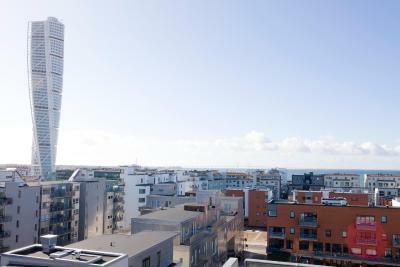 Location close to the sea , buss & MAXI. There were delays on bringing the food for the breakfast on second day of our stay.